Over the course of his 40-year legal career, Leslie J. Shaw has narrowed and focused his civil litigation practice to the exclusive subject matter of Reno Divorce Lawyer. Representing clients throughout the states of Nevada and California – and being awarded the status of a Certified Specialist in Family Law by the California Board of Legal Specialization, State Bar of California – he continually rededicates himself to representing his clients at the highest possible level. A family law dispute is sometimes the only experience a spouse and/or a parent has ever had with the judicial system; this experience can seem bewildering, it can be anxiety producing, and it often creates a sense of instability and unpredictability about one’s future. Nevada and California family law attorney Leslie J. Shaw has, over the course of the past four decades, represented his clients effectively in advocacy in litigation, and just as importantly, in understanding and addressing those concerns, fears, and anxieties that litigation often creates. His practice in these neighboring states, where issues often arise of consideration or application of the law of one state in another, lends itself to his particular expertise, experience, and knowledge of family law litigation and the client experience of such litigation. 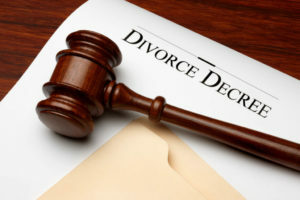 Divorce in Reno potentially represents the most traumatic time – and the most substantial financial transaction – most people will ever experience. The emotional impact of the change in marital and family status makes decision-making and charting a clear and effective future challenging. In Reno, NV, Community property states have certain, and oftentimes common, standards for property division. Nonetheless, properly valuing and dividing marital assets and liabilities can have a lifelong impact on our clients, and we are devoted to providing our clients with the best possible result. If the family law is the mother of all civil litigation, then child custody is the mother of all family law litigation. Nothing is more sacred to almost any parent, and no interest is more protected in law than that of an individual being allowed to be a parent to their own child. With most parents, the uncertainties of California and Nevada child custody litigation and determinations are the greatest source of anxiety and stress in any action in which such matters are to be decided. Maintaining the rights and well-being of children requires the proper financial assistance of both parents, and our clients are assured that those goals will be vigorously pursued. Less formulaic, spousal support is key to allowing many of our clients to proceed with life after divorce.